As the sun sets to leave the sky in a mystic darkness, a metropolitan area of awe-inspiring architecture from decades of the past and future are brought to life with dazzling lights. 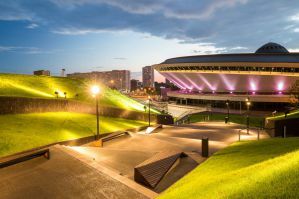 Located in the southwestern area of the nation and in the heart of the Silesian Metropolis, Katowice, Poland is a central hub for science, culture, industry, business, trade, and transportation within the region. Though only a meager village in the mid-18th century, Katowice transcended its expectations due to its discovery of rich oil reserves and steel, now making it an emerging metropolis of southern Poland. According to the GDP, the entirety of the area is considered the sixteenth most economically powerful city in the European Union. Katowice is internationally known for its seat in the Polish National Radio Symphony and Orchestra as well as hosting the finals of the Intel Extreme Masters. Some of the tourist destinations of Katowice include the Silesian Museum, the Goldstein Palace, and the Silesian Zoological Garden. However, if you plan on visiting Katowice, you are going to need a place to stay that is comfy, cozy, and within your budget. Many hostels of Katowice provide diverse lodgings for its equally diverse travelers. 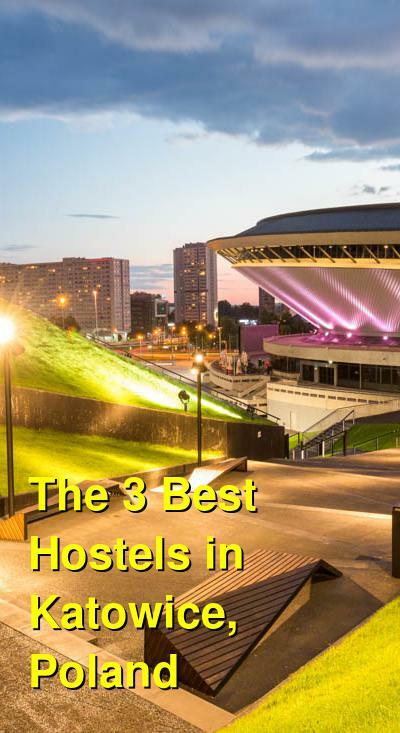 How much do hostels in Katowice cost? Located in downtown Katowice near the railway station, JOPI Hostel Katowice is a great option for those who want a decent lodging at a cheap price. A relatively quiet environment, JOPI provides its guests with a peace and calm that cannot be found on the bustling streets of the city. The rooms are somewhat small, but the facilities are clean and cozy. With a small staff at your service, feel free to ask them questions on recommended restaurants and tourist destinations near you. There is a common room at JOPI as well as a fully equipped kitchen at your disposal. Meals can be purchased at JOPI's cafe for a reasonable price. There are also machines to make tea and coffee for free in the building. Other amenities include free Wifi, card phones, washing machines, cable TV, reading lights, ironing boards, hair dryers, fridge and freezer, and lockers. JOPI also provides many services including wake-up calls, late check-out, and 24-hour reception. JOPI is both friendly towards both two-legged and four-legged families of all kinds. In order to cancel your reservations with JOPI, it must be done within 24 hours before your arrival. JOPI accepts cash, debit, and credit. Hostel Katowice Centrum is a casual, comfy hostel that is just waiting for guests like you. Located near the train station in the center of Katowice, Centrum has a great location and an even greater staff, who are friendly and English-speaking. Centrum is open 24 hours and has around fifty beds. Both private and shared rooms are available, with shared rooms possible in holding up to eight beds. There are shared showers on every floor, but it is best to pick an ideal time, so you do not have to wait for too long. Free tea and coffee are supplied by the hostel, but if you are looking for a bite to eat, you will need to venture outside of Centrum. There is also a common room with a TV, computer room, and a kitchenette that can be used at any time. Other amenities include free Wifi, an outside terrace, steam rooms, reading lights, meeting rooms, lockers, and hair dryers. Some of the services Centrum provides includes tours and a travel desk, 24-hour reception, housekeeping, 24-hour security, and towels for hire. Centrum accepts cash and credit. While a bit difficult to find, Hostel Sentral is a great lodging if you are in need of an affordable, no-nonsense accommodation. There are both private and shared rooms available as well as bathrooms on each floor. There are tea- and coffee-making facilities, but cafes and restaurants are not available within the hostel. If you are looking for a hostel with a small social atmosphere, Hostel Sentral does just this as there is yet to be a common room available. Other amenities include free Wifi, hot showers, fridge and freezer, microwaves, hair dryers, card phones, and ironing boards. All rooms are nonsmoking and minors can only stay when attended by an adult. Some of their services include late check-out, luggage storage, reception, and currency exchange. There is a cancellation policy open up to 72 hours after booking, and the hostel does accept cash and credit. Enjoy your stay in Katowice, Poland!